If working with youth is your passion, or you just want to experience what God can do with the smallest things, El Salvador is waiting for you. Being the smallest country in Central America, El Salvador proves that big things do come in little packages. Serving here provides such a rewarding mission experience as the main ministry opportunities are centered around bettering the lives of children and direct community engagement. Education is an incredible portion of the ministry work done here. El Salvador has a very relationship-oriented culture where socializing is a priority, making this country such an easy place to come and share the love of Christ. If working with youth is your passion, or you just want to experience what God can do with the smallest things, El Salvador is waiting for you. Robert and Marie Hamilton are no strangers to the mission field. 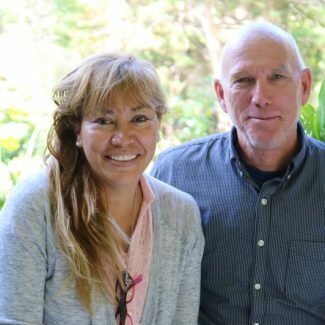 They began serving in El Salvador in 1988 and show no signs of slowing down. Beginning their ministry working with street children, orphans, and refugee families, they now run their own school, “Casa La Atarraya”, that caters to ages preschool through 12th grade. It may have had humble beginnings, but since its construction in 1992 it has expanded tremendously. The school is now recognized as a regional leader in quality education. Now on a path to self-sustainability, it offers not only rigorous academics, but a number of vocational training opportunities.